Is a golden rule of exploration drilling about to change? Have Orthodox Economists, Misrepresented the ideas of Adam Smith and the Utilitarian Philosophers? 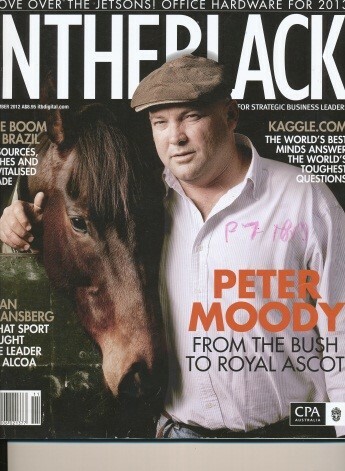 The September, 2012 edition of “INTHEBLACK”, the monthly magazine of CPA Australia, contained articles by three authors putting their viewpoints about the merits or otherwise of allowing firms or industries to import foreign workers into Australia. Industry leaders fear that major projects in the mining, construction and other sectors may be abandoned without significant numbers of skilled foreign workers, while the Australian Council of Trade Unions (ACTU) argues that the mining industry in particular should invest in secure permanent jobs for Australians before considering that option. The issue is obviously very important as it involves a complex and potentially turbulent mix of political, economic, industrial, social justice and even ethical issues. There are no simple solutions. The three authors who provide alternative viewpoints on the issue are Peter McDonald, a demographic Researcher at the Australian National University (ANU), David Byers, Energy Industry leader with the Australian Petroleum & Exploration Association (APEA) and Jason Greene, Recruitment specialist at Skills Shortage Solutions. All are well experienced in their fields and give considered views that are worth a read. My views are expressed in a letter to the Magazine. It was published in the November, 2012 edition. It is shown below. Your excellent articles (INTHEBLACK” September 2012) about the importation of labour highlight an important but potentially divisive and economically damaging issue that needs to be addressed. At present Aussie jobs are rightly reserved for Aussies. The mining industry asserts that this principle is damaging Australia’s future. If this is true the issue needs to be addressed. The problems of skills shortages and a lack of labour mobility are not new phenomena. The cyclical nature of the demand for minerals, the remoteness of projects, and the lumpy nature of project expenditures have exacerbated these problems. Governments have failed to develop appropriate policies and mining corporations have failed to adequately deal with issues of personal isolation, economics and training, contributing to the problems. Protection against the exploitation of workers. Equality of pay and conditions. Values. Encouraging Emigrant workers to adopt Australian values. Australian content. Projects that use emigrant labour should be required to buy 50% of project materials by value from Australian sources. Levy. Miners who use emigrant workers should be subject to a training levy which should go towards funding new labour training policies, if they are not liable to pay the new mining profits tax. Refugees. Where possible refugees should be built into the strategy. Sunset clause. The suspension of the principle should be temporary so legislation should have a limited life.